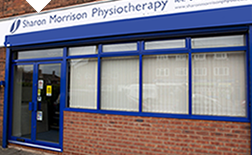 The Sutton Clinic has been established at its current location since 2009, as an expansion of the already successful physiotherapy consultancy started by Sharon Morrison in 2005. The team are committed in providing excellence in the prevention, assessment, diagnosis, treatment, rehabilitation and management of your musculoskeletal pain and injury thus ensuring a positive healthy recovery experience and an improved quality of life. The treatment plan is developed individually for each client to meet the individuals specific injury needs, capabilities and ambitions - physically, mentally, and technically. In our sporting clientele, the recreational through to our elite athletes, amateur through to professional dancers, it also enables a safe return to full athletic and aesthetic participation and peak performance. The team will coordinate your healthcare needs. If our team don't have the solution we have immediate access to a network of specialist consultants, x-ray and scanning facilities, and multidisciplinary team members that we can refer you to. By seeing the relevant specialist for your condition we can avoid inappropriate or excessive treatment and keep your costs to a minimum. Sharon's team and network of specialists have been specifically selected for their unique skills and share in Sharon's commitment in practising to the highest professional standards. We are always happy to answer any questions you may have. Check the FAQ section or Call us on 0121 323 3281 or click here to contact us by email. The mission of SMP and associates is for clients to experience excellence in the management and outcome of your care regardless of age, gender or sporting ability, as past and present clients have come to expect.